She added that the United States would hold also Russia or the Syrian government accountable for any offensive on Idlib or any kind of escalation in that area, especially if such efforts involve the use of chemical weapons. Russia's Defense Ministry has warned that the leader of the Tahrir al-Sham terrorist group, which is affiliated with the Al-Qaeda-linked Jabhat Nusra terror organization (banned in Russia), is planning a chemical attack against civilians in the Syrian province of Idlib in order to provoke western nations into retaliating against Damascus. 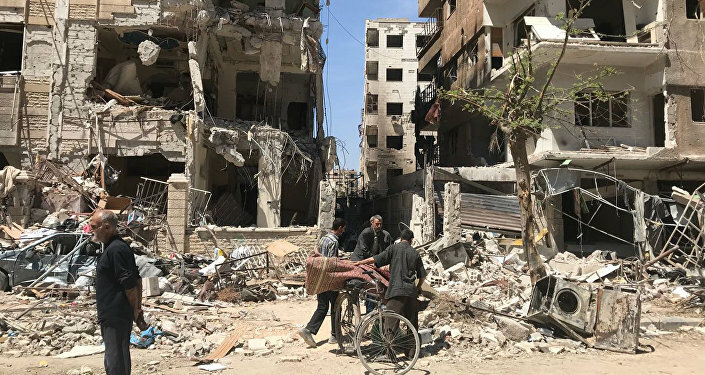 Russian Ambassador to the United Nations Vassily Nebenzia told reporters on Tuesday that the warning about potential chemical attacks in Syria is based on concrete facts.